We’ve all been there—doing our best to get the pieces of a marketing event puzzle into place. With so many moving parts, it’s understandable something may go wrong. What can spook us most, though, are the times when what goes wrong turns into a marketing horror story. To avoid becoming a cautionary tale, especially when it comes to buying promotional products, you’ll want to learn how to head off potential problems. Have no fear! This Blue Paper will help you avoid a promotional product horror story. Let’s be honest, event planning and promotions can be challenging enough. The last thing you need is a problem related to your event giveaways, incentives or trade show swag that becomes a scary story later. With tips on how to overcome possible order issues, you can turn “swag drag” into promotional power that works for your brand. Read on to learn more. Gaydos is a chief marketing officer at McFayden Digital, a digital commerce agency based in Vienna, Va. He knows all too well what can go wrong when an order goes astray. As a vendor at IRCE 2017, the Internet Retailer Conference + Exhibition, he wanted his company’s brand to stand out among 600 vendors. 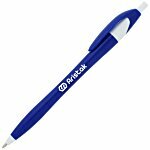 Cue memorable promotional items! McFayden Digital had recently undergone a brand evolution, so Gaydos needed eye-catching swag that reflected the company’s new image. Three weeks before the show, Gaydos ordered several promotional products for trade show giveaways: reusable shopping bags, pens and fidget spinners. He made sure to note that the show date fell well within the site’s stated production and shipping times for the items he’d ordered. But just before the show, he learned the items wouldn’t be ready on time. As a bonus, not being able to get the fidget spinners from the first company turned out to be a blessing in disguise because many other vendors were giving away fidget spinners. Gaydos is not alone. In fact, issues with promotional products for trade shows, business gifts and events can arise and, for the most part, are preventable. To avoid your own marketing mishaps, let’s look at these issues, the horror stories that may ensue, and the solutions that promotional product companies may offer—even when you’re in the home stretch for your event and need to quickly get across the finish line. When you order high-quality promotional products, whether they’re for employees, prospects or clients, you want the transaction to go seamlessly. You expect the products to highlight your brand. You need colors that are true, embroidery that is readable, and screen printing that’s crisp. And the promotional products you’ve invested in must arrive on time and in the condition you’ve been promised. There are many steps to getting to that point. For every custom logo apparel item and every branded high-end gift for clients, you’ll encounter numerous details. Sometimes, problems emerge. 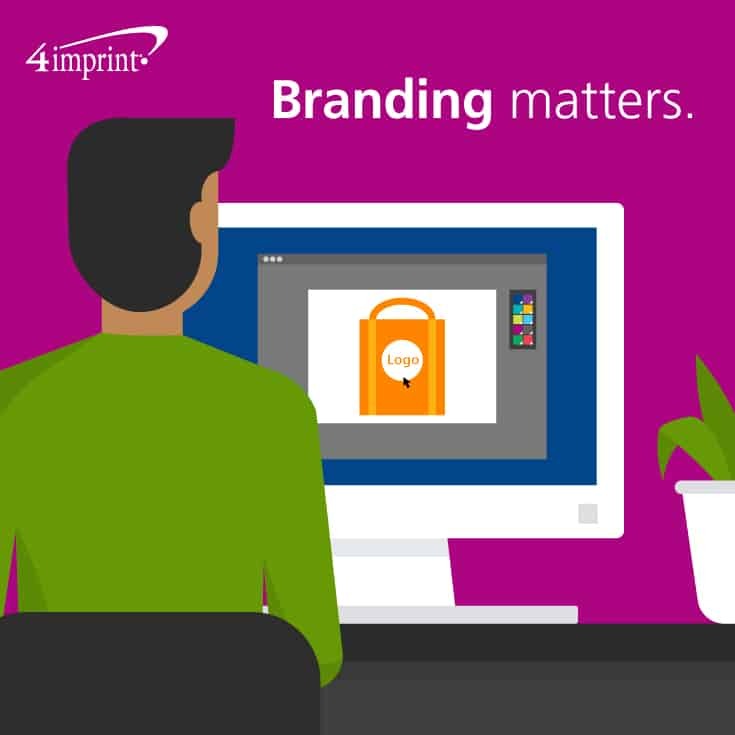 Here’s a look at five of the most common issues when buying promotional products. Learn from them to avoid becoming the main character in a marketing horror story. 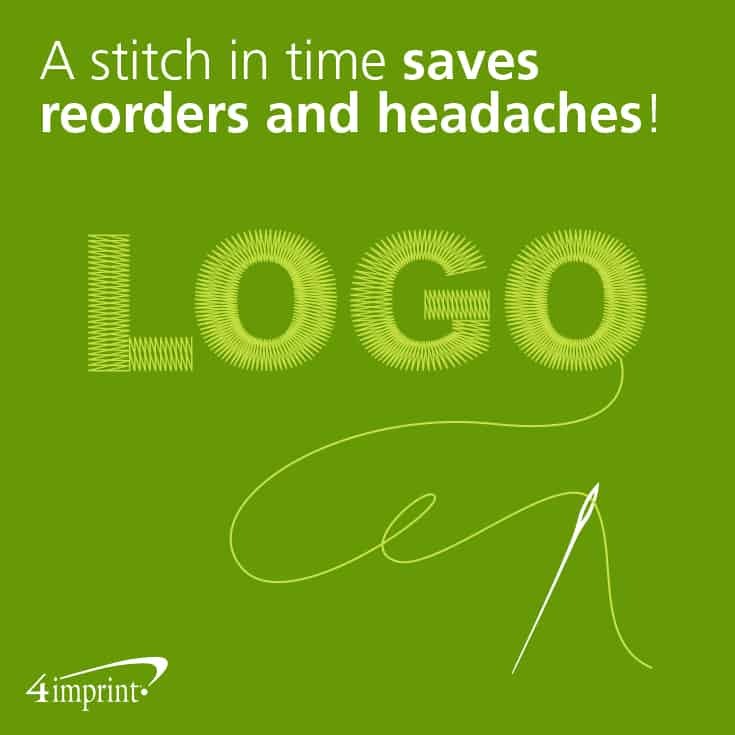 Embroidery seems simple enough: Just send your logo, and your promotional product company will arrange for it to be stitched on the swag you ordered. In reality, embroidery can be quite complex. Andrea DiLoreto, customer service team lead at 4imprint, says most embroidery-related issues arise when adjusting a logo to fit in a small area. For example, reducing the logo size could lead to parts of it becoming illegible. Communication is key to ensuring customers are happy with the results. If you’re thinking about ordering embroidered swag, DiLoreto says to request a physical sample before the order is processed so you can see first-hand what your logo looks like stitched. Ask if the promotional products company does embroidery in-house. This reduces issues between the order and fulfillment. Request a physical sample to review your embroidered logo before ordering numerous pieces. #2: I need it yesterday! In a perfect world, there would always be plenty of lead time to produce high-quality promotional products for your event. In the real world, things happen. Projects get sidetracked. Priorities get shuffled. And sometimes decisions come slowly. Scenarios like these may cause you to need a rush order. Ask if the company offers quick turnaround options (even within 24 hours). Clear communication is key: Ask questions about the company’s processes and expectations to ensure on-time delivery. Across brands, across product lines and across countries, there is no one size fits all. For that reason, your carefully selected promotional apparel may not fit recipients the way you thought it might. When all those employees who said they were a size medium find out they prefer a large, your order may not fit your needs (or theirs). 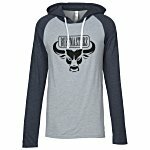 A promotional shirt that doesn’t get worn isn’t really promoting anything. Find the best fit by asking for a size chart. These charts provide chest measurements you can include in your communication with recipients so they know which size to order. Another apparel-buying tip: Some apparel is designed for a slim fit, while other styles may offer more generous sizing. You may want to consider ordering different styles to fit a variety of recipients. Ask for alternative products and solutions when apparel sizing might be problematic. Ask for affordable (or free!) physical samples to review in advance. As meaningful as they are to your brand, logos can be problematic. Fine fonts, thick fonts and full-color art are some of the things that can create challenges when it comes to reproducing a logo on custom promotional products. 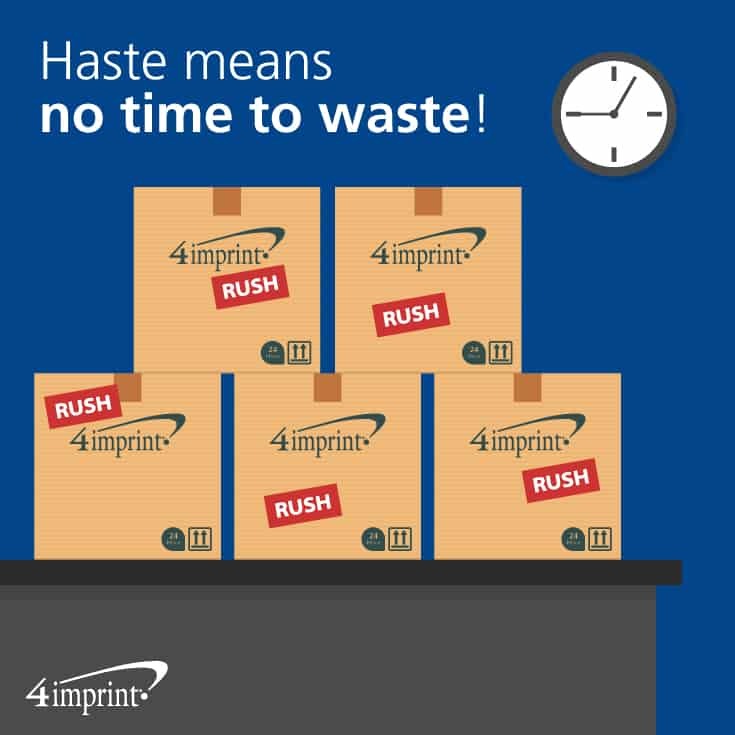 Again, getting physical samples helps prevent headaches down the road, but working with a promotional products vendor who goes the extra mile can keep your order on the fast track. For example, perhaps you’ve brainstormed ideas for a logo, but need help getting it into its final incarnation. Maybe you only have low-resolution files of your logo, or none at all. 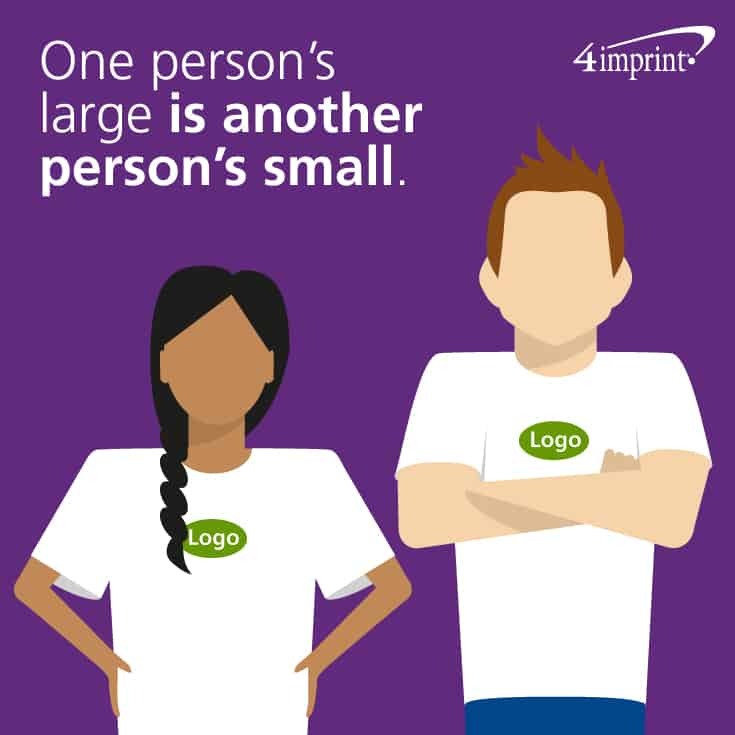 If that’s the case, find a promotional products company that can either complete or recreate your logo. And if you’re ordering pens or another object with a small print space that won’t allow for a clear reproduction of your art, ask about a Plan B…and a Plan C. Call the company and ask for help. Discuss what you are looking for and request an email back with options. Remember, they are familiar with their thousands of products, so calling customer service will save you time in the long run. Ask the company if they have graphics experts who can work with or maybe reproduce your logo. If you’re not happy with how your logo looks on a sample or proof, ask about more ideas to make your brand stand out. You have strict brand guidelines and a color palette you have to follow. That’s totally understandable—you want your brand to look consistent across the board. 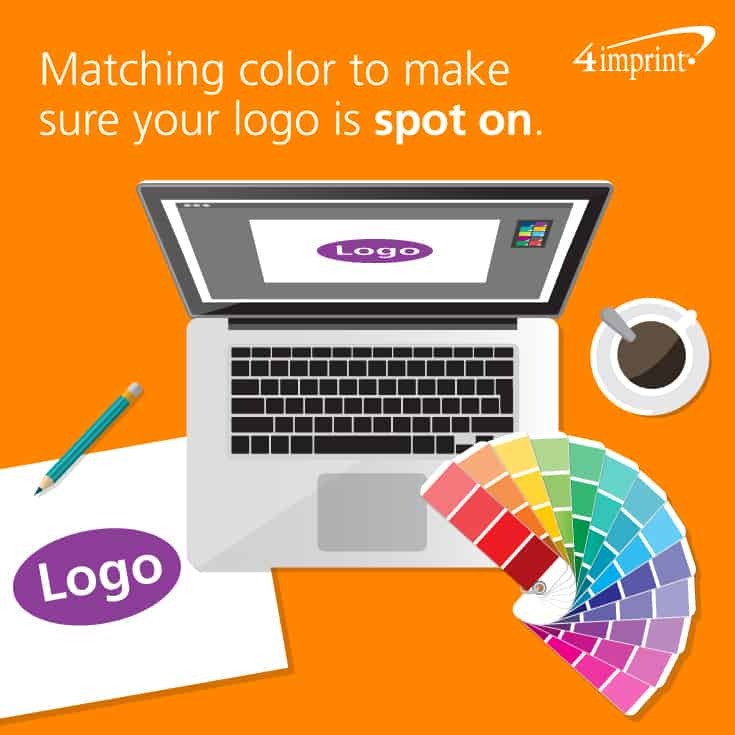 So, how do you ensure those colors will pop just right on your promotional products? Ask your vendor whether the company does color matching. If they don’t, ask about other options. If the color can’t be matched for that specific product, you can choose something similar that fits your brand. Or maybe you can try a black-and-white or single-color option that will still make your message stand out. Remember to ask for a proof to ensure you’ll be happy with the product when it arrives. Ask about creative solutions to color-matching issues. 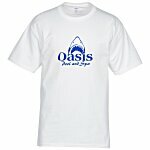 Ask about alternative promotional products that work with your brand. As someone who’s been there, Gaydos offers a few insights from the customer perspective for those who want their promotional products experience to go off without a hitch. Order early enough so that your items arrive at least three weeks before your event. This also reduces or eliminates rush fees and avoids last-minute panic when unexpected delays occur. Double-check your art proof to be sure that colors and layout are correct and the best representation of your brand. If a week or so goes by without communication from your promotional products vendor, check in to make sure your order is still on track. Marketing is hard; ordering promotional products shouldn’t be. If you feel like you’re caught in a horror story because of a marketing mishap, look for a promotional products team that guides you through the process, anticipates issues, suggests workable alternatives and has your back in times of trouble. Through it all, keep communication timely and honest. In the end, buying promotional products shouldn’t turn out to be a horror story you’ll regret for years to come. By following these proactive tips, you’ll be able to relax knowing your promotional products are on target, on brand and arriving on time. Looking for worry-free, high quality gifts for clients? 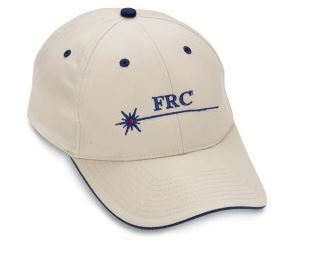 Let our expert in-house embroidery team stitch your logo on the brushed cotton Elite cap. This blue paper is spot on!